1. Stations have to provide sufficient coverage. The key to the system is that there is coverage to the beginning and the end of each trip. 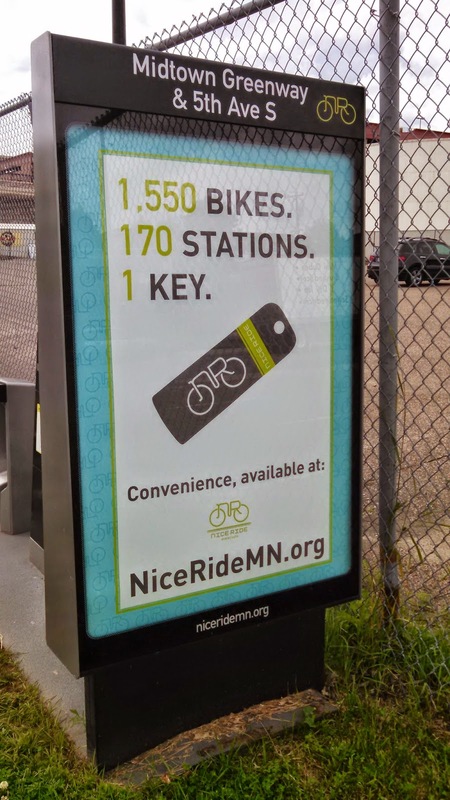 The NiceRideMN system has 170 stations stretching almost three miles into the neighborhoods. With almost 10 bikes per station, I never had a problem with a station without a bike (I also didn't have a lot of peak hour trips). 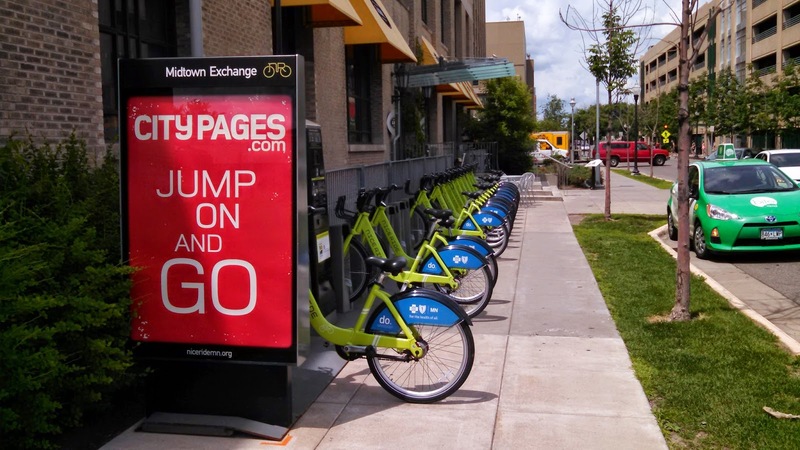 The one way bike sharing systems that may be on the horizon, could address this issue, but also may require more rebalancing. 2. Marketing of the system is key. If the marketing can include nice ties to the community and plays on the convenience that is best. 3. 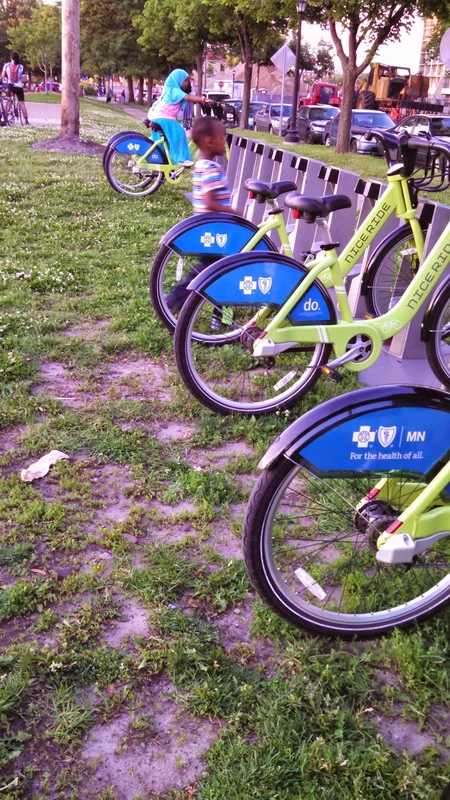 Bike share can be part of the Equity equation. At this particular station, we found kids playing on the bikes. As we started to rent one, a young boy (less than 10 maybe?) came up and asked if we would rent him a bike. In lower income neighborhoods, if the annual membership is waived that could help. 4. 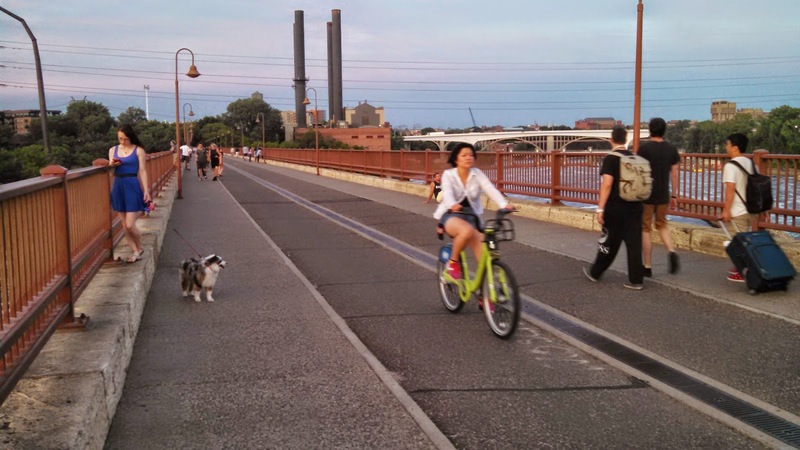 Bike share is for all sorts of people. Nice Ride seems like it is less for tourists than Divvy seemed to be in Chicago, but it's a great way to see the City. There's clearly a lot of people using it for more than just commuting trips and tourists are just one of those types. 5. 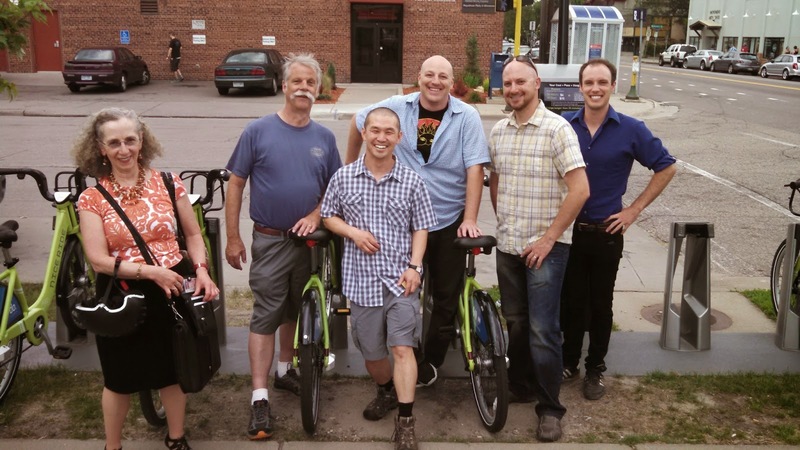 Bike share is great for groups of less than 10. 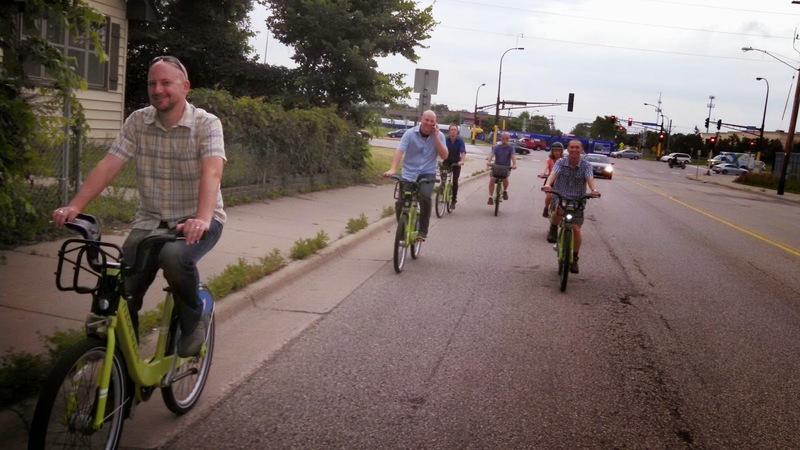 I was with a group of 7 professionals and we were looking for bikeshare during an evening after a long day of meetings. Our challenge was to find a docking station that had enough bikes that we could all have one. The second option was to split up and convene later, but it worked out and we all got bicycles.